Has Event Management System Made Event Organization Easy? Event management system is a comprehensive software solution that could provide the chances of enjoyment along with event organization. It has smooth line various event organizing tasks and shares a heavy burden of the workload with the organizer so can enjoy the tasks more than earlier. 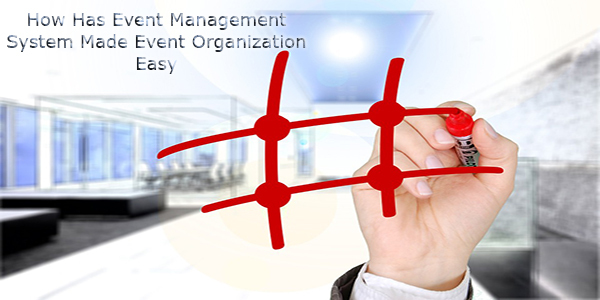 Event management system (EMS) is a dynamic as well as a customizable tool to handle various tasks on a single platform. EMS helps in creating and publishing events so the guests or attendees could get themselves register online. It allows you to customize your registration form according to you own desire or requirement. The event could be scheduled with time and details will be displayed to client accordingly. You’re allowed to display different images related to your event to enhance guest’s engagement. Event management system will automatically send customized event registration, confirmation and follow-up emails to registered attendees. The organizer is eligible to forward invitations to RSVS or previous attendees having similar interest. It’ll automatically maintain a list of waiting members if the event’s registration is full. Organizer can send invitation to social media. It’ll conduct a complete survey at the end of an event to collect customer’s feedback. The organizer can set a price for ticket reservation. The ticket could be reserved online via available online payment mode. Overall event management system is a complete system providing a facility to perform wide-range of tasks to event organizer as well as an event attendee.